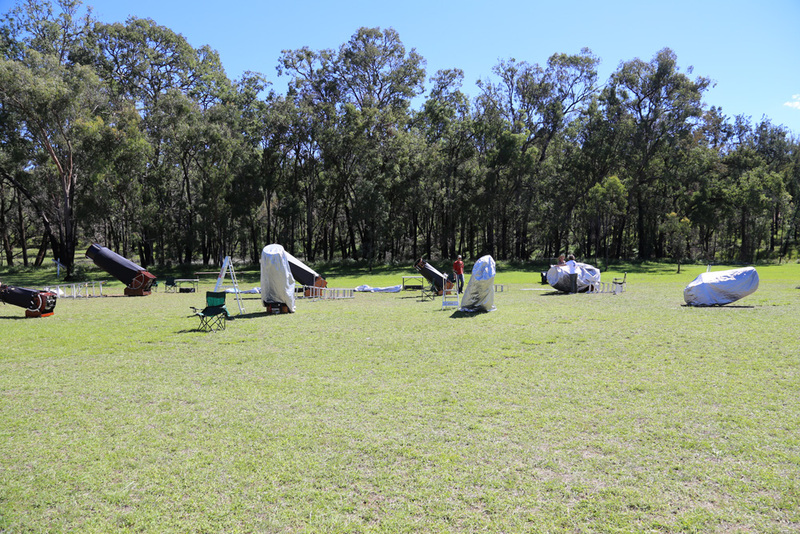 From 29th March to 5th April I was at OzSky 2014, a star party aimed at amateur astronomers from the northern hemisphere who normally do not get to see the full splendours of the southern sky. For those of us at (the obnoxious, astronomically-speaking, latitude of) 50° North, this is 50° of the sky denied to us – and the most spectacular 50° at that – unless we get on an airliner and head south. 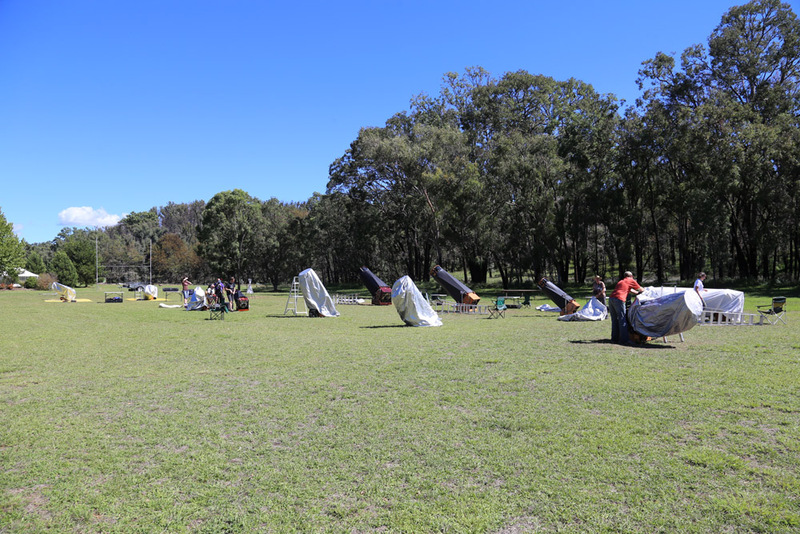 I arrived in Sydney on 20th March, nine days ahead of the event, and spent the time doing non-astronomy things although I did visit the old Sydney Observatory, located on a low hill above The Rocks. 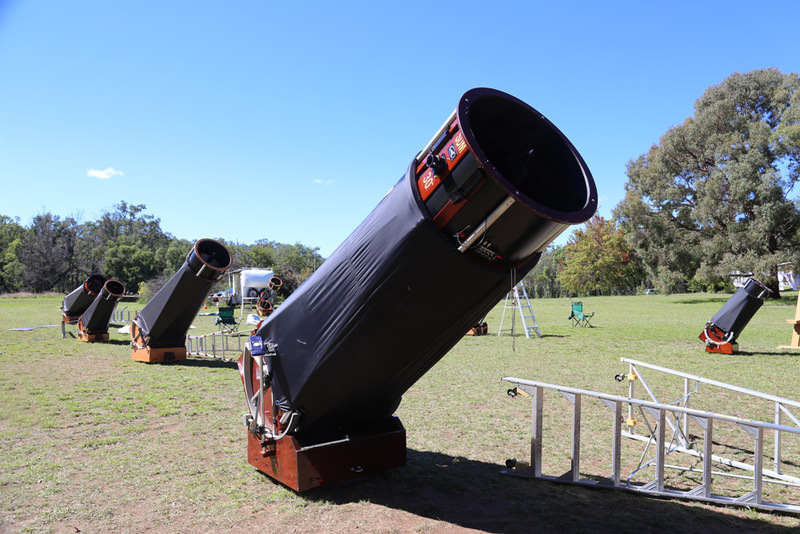 I’ll put this in a separate post sometime this week as I will also put the visits to Siding Spring and the Australia Telescope Compact Array at Narrabri in separate posts. On 29th March, I met some of the other participants at Sydney Central Station where we boarded the train to Dubbo. 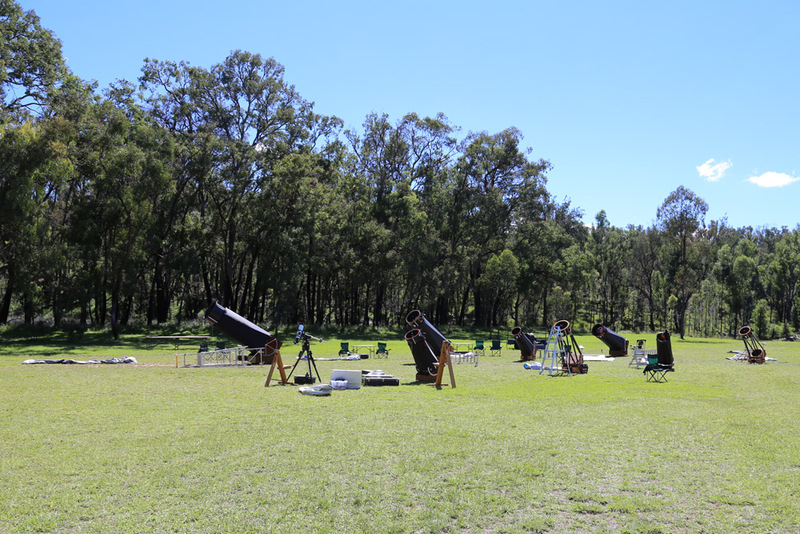 At Dubbo we collected our rental cars and drove to Coonabarabran, where the star party is held at a motel, the Warrumbungles Mountain Motel, in the beautiful Warrumbungles a few miles outside the town. 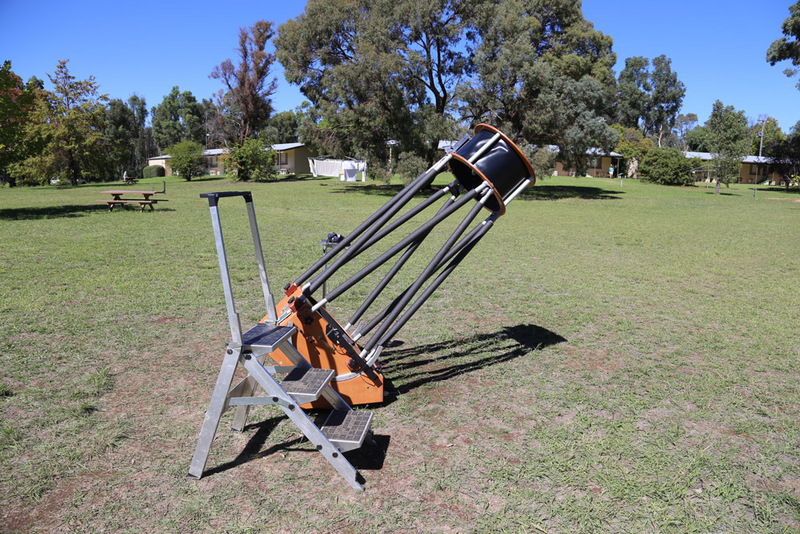 There was some consternation among the other members of the OzSky email list about potential bad forecasts for the week but, in the end, we had mostly clear skies, only totally losing one night to cloud and fog, a couple of other nights were half clear while the rest were completely clear. 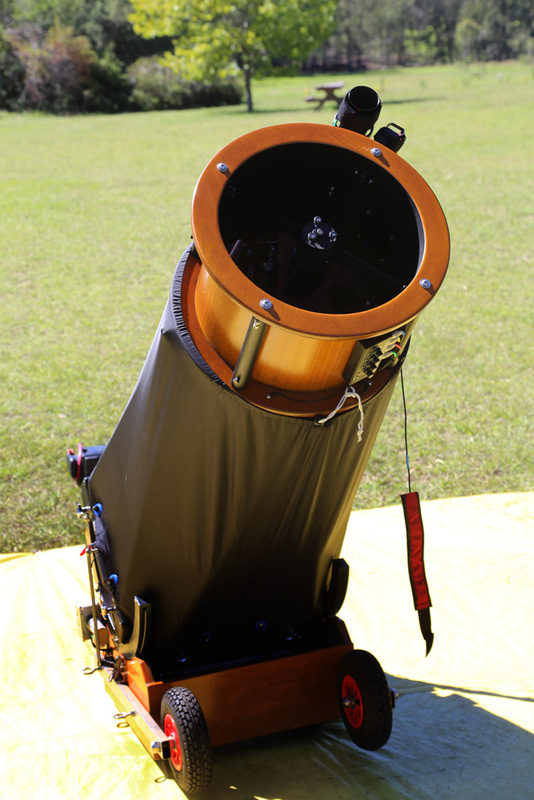 This enabled everyone to get their fill of observing in the fabulous southern skies. I made it a personal rule to observe only those objects with a negative declination and to observe nothing north of -30° as it seemed to me, with only a week, a waste of observing time to look at objects which I can see from home. I have my observations already typed up, as I transcribed these from my notebook to my iPad, then emailed them to myself as I went, and will post these at some point although some need verification with The Night Sky Observers Guide Volume 3: The Southern Skies, particularly the stuff I looked at in the Large Magellanic Cloud, which is a rich area with a lot of small objects close together. I didn’t take the book with me, because of airline weight restrictions and I also didn’t want to lug it about during the nine days prior to travelling to Coonabarabran. I spent a lot of time in the LMC on the first night. Apart from the LMC and SMC, I observed mostly far-southern globular clusters and galaxies – both very far south and those in Fornax and Eridanus which, while theoretically visible from here (thus breaking my self-imposed rule! 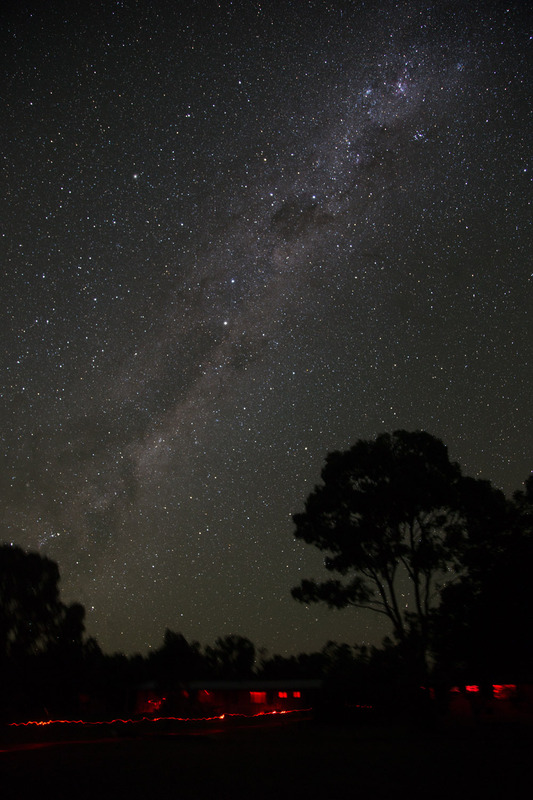 ), don’t rise high enough to see properly – with a few open clusters. 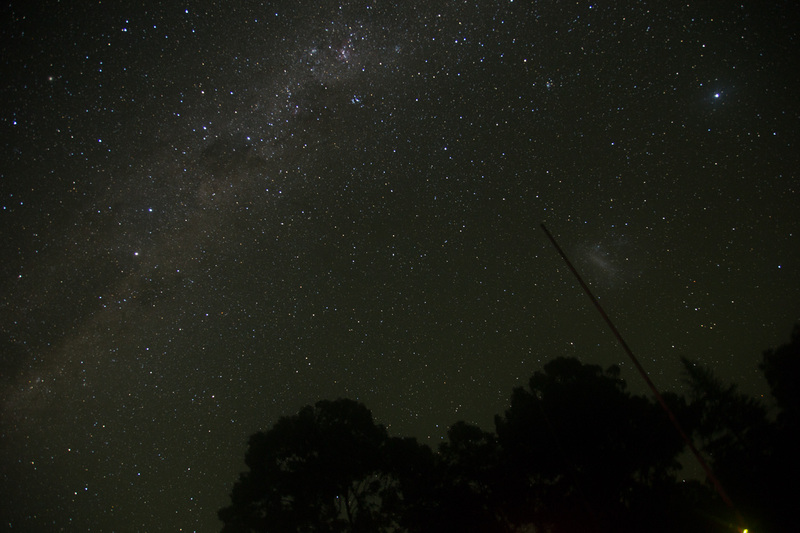 I also had a go at some wide-field astrophotography, using my Canon 6D and 24-105mm lens mounted on an iOptron sky tracking mount I borrowed from Andrew Murrell. 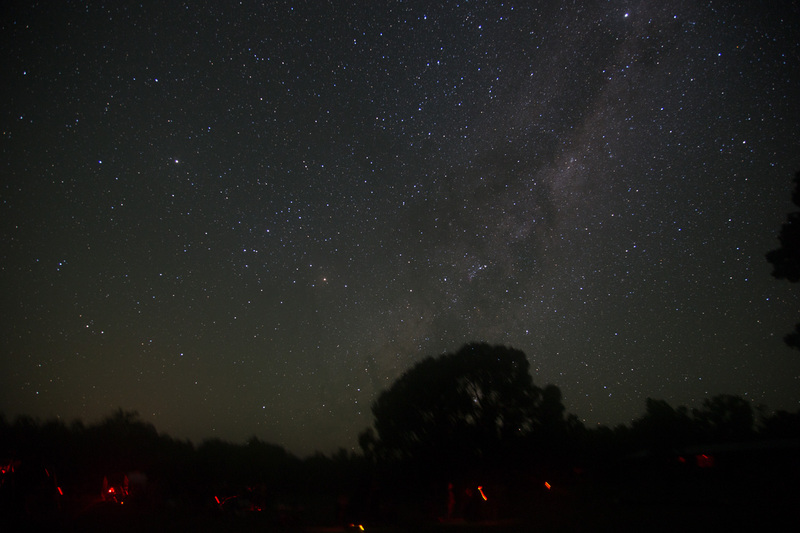 The camera was set to ISO 1000 and f/4 with exposure times of 3 minutes each. I am really pleased with these and they’re a lot better than my woeful attempts at photographing the Australian night sky in 1997! 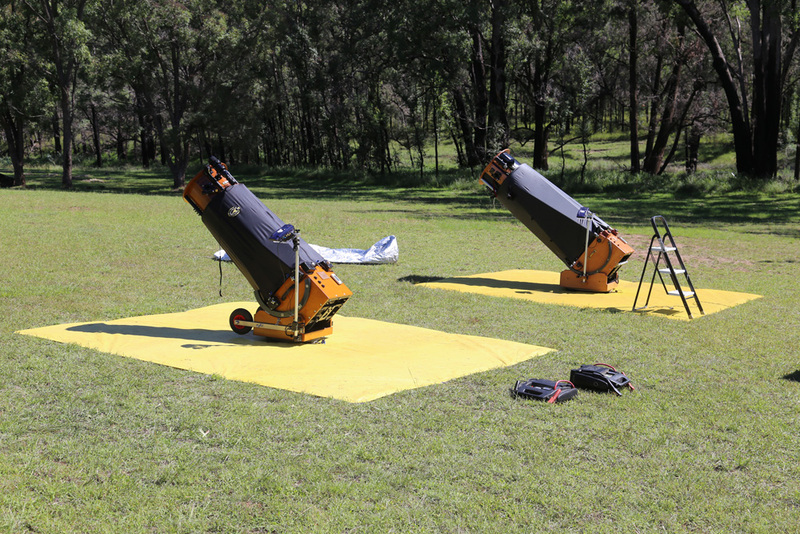 Below are some of the telescopes we used during the week, ranging from 14″ to 30″ Dobsonians (plus 16″, two 18″ and two 25″ ones) and a pair of giant binoculars mounted on a motorised chair. 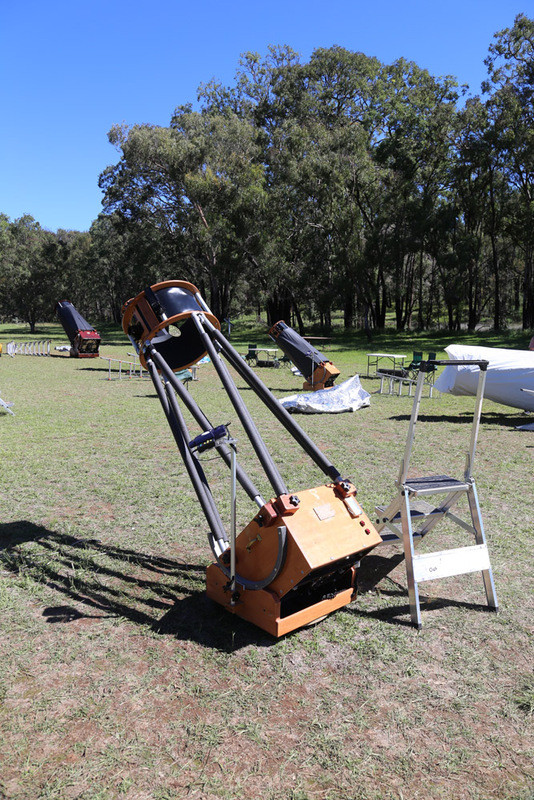 There was also a 12″ binocular Dobsonian, which was interesting and not quite the sod to collimate as I imagined it might be. 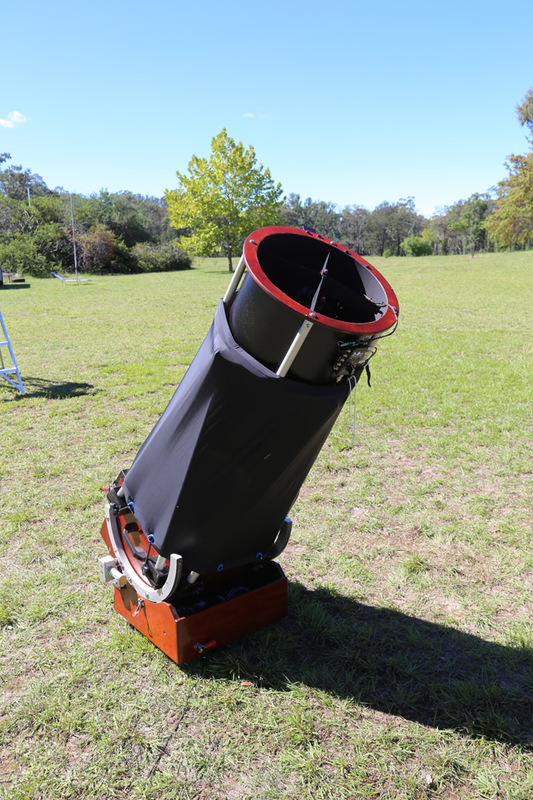 I used an 18″ Obsession for a couple of nights but then found myself in sole charge of an SDM 30″ for long periods of time during the rest of the week! 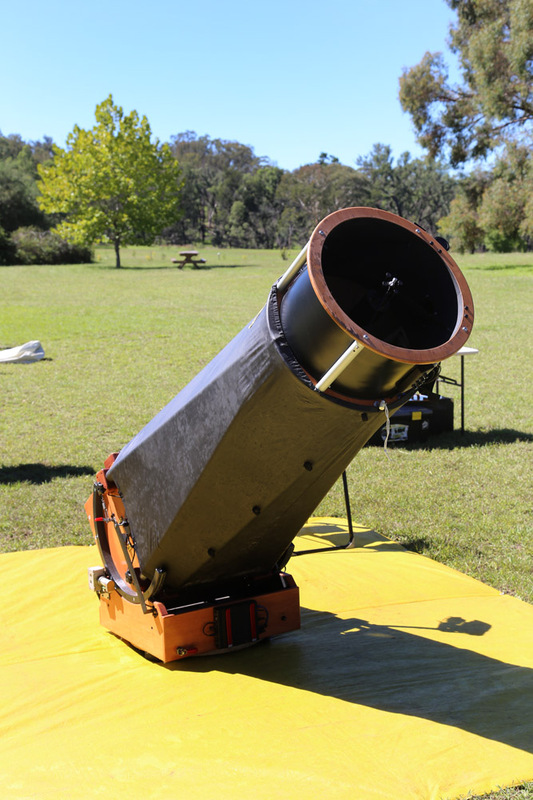 I also got to use a binocular chair (below) with a pair of 25×150 Fujinon binoculars attached. 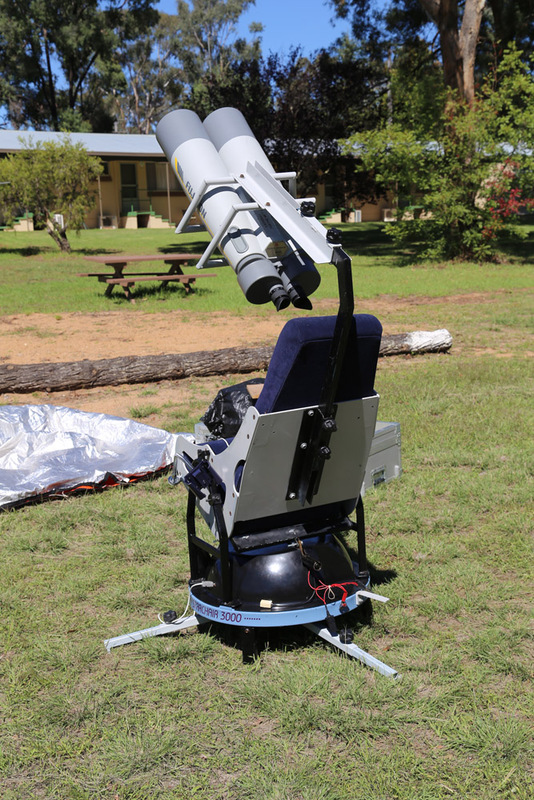 The chair is fully motorised, powered by a marine or car battery, and can be moved using a joystick. 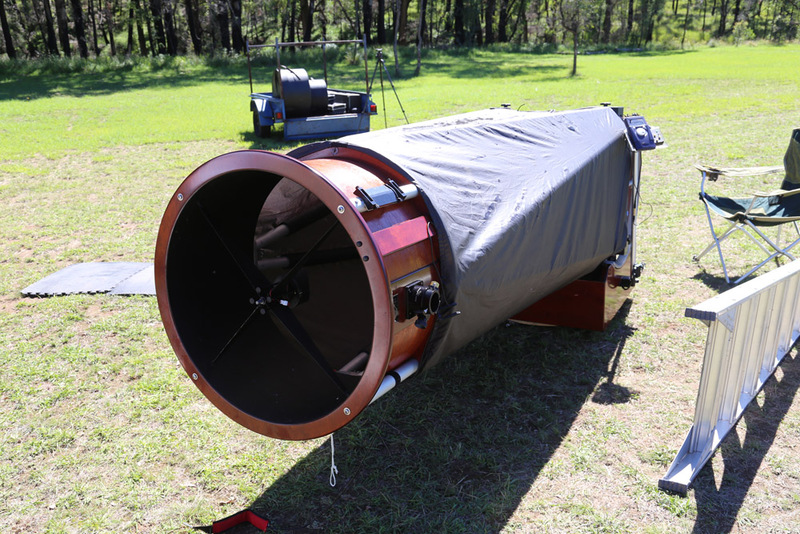 This was great for cruising through the Milky Way, looking at things like the Coalsack and the Eta Carina Nebula but, unfortunately, the objectives dewed up pretty quickly. Thanks go to the Three Rivers Foundation of Australia whose volunteers – Lachlan, Tony, Andrew, John, Petra, et al – make it all possible. 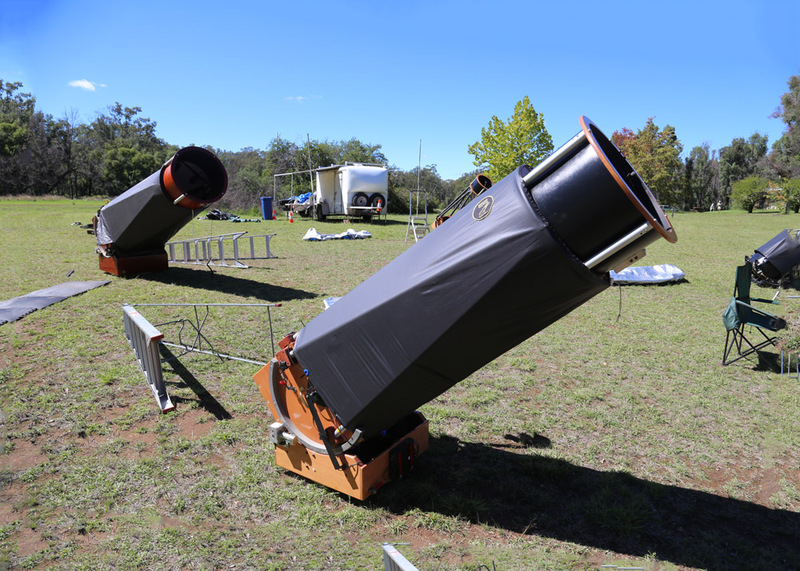 Visits to observatories – Sydney Observatory, the Australia Telescope Compact Array at Narrabri and Siding Spring Observatory – and the observations, will follow in later posts. 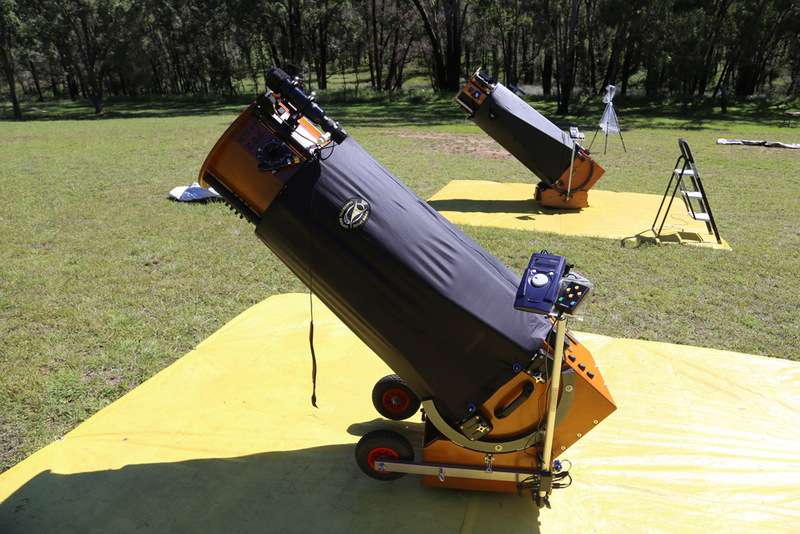 This entry was posted in Australia, Observing, Star Parties on April 14, 2014 by FJA.